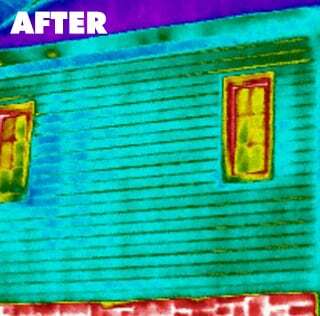 Adding insulation to new siding helps break the the thermal bridge, save energy, and create a more comfortable home. Most people have new siding installed on their homes for one reason – to improve the appearance of their home. Unfortunately, most people don’t realize this is also the perfect opportunity to add insulation. With siding products lasting 30, 40, 50 years or more, siding can be a once in a lifetime project, and many people will never get this chance to insulate again. There will never be an easier or cheaper time to add insulation to the exterior walls of a home than when new siding is installed. 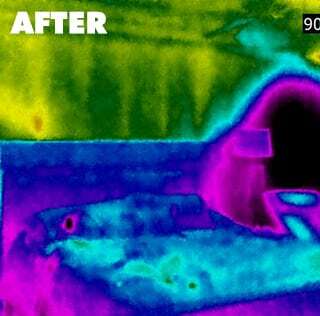 Your home may be losing energy through thermal bridging. 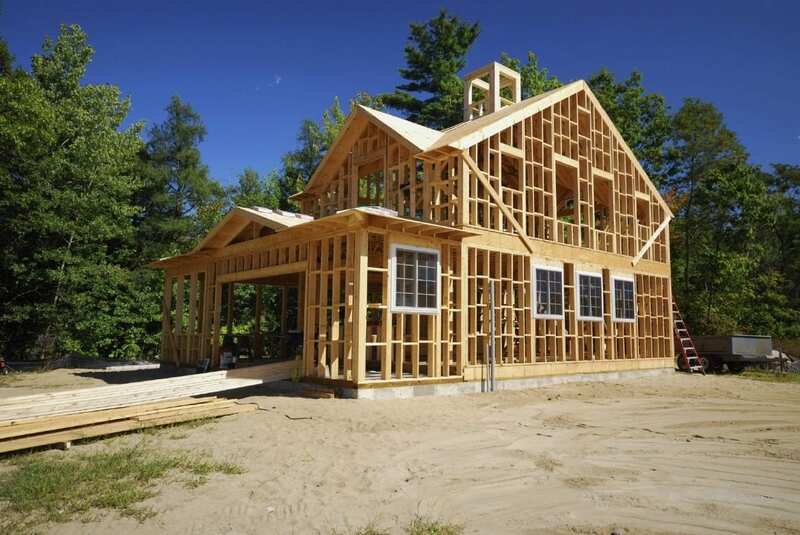 Most homes are built with wooden studs. 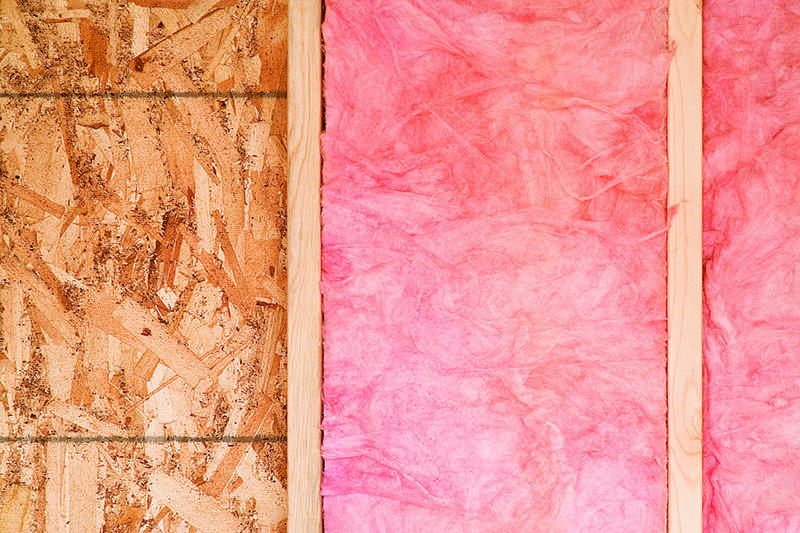 If these homes don’t have exterior insulation, heat is able to bypass the pink insulation in the cavity transfer across the studs. Nearly 25% of your home’s wall is made up of studs that typically are not insulated, so it’s like having one entire wall of your home with no insulation. 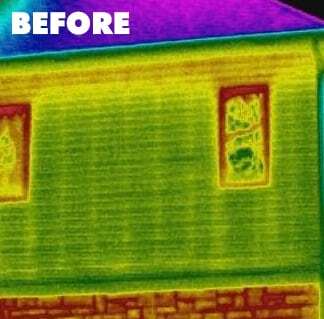 Winter: A thermal camera reveals energy leaking from this home across warm yellow studs and hot red at the top of the wall where cavity insulation has settled over time. After exterior insulation is installed with new siding, the wall registers as a cool blue/green. 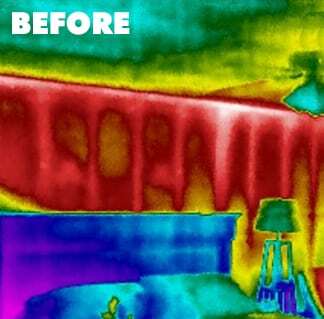 Summer: A thermal camera reveals heat from the outdoors leaking across hot red wooden studs, causing the air conditioner to work harder to keep the interior cool. After exterior insulation was installed, the wall appears significantly cooler. 41% of all energy consumption in the United States in 2014 was in buildings (Source: U.S. Energy Information Administration). Homes have historically been major sources of wasted energy, because they were not built to minimize energy consumption! Walls are the largest source of energy loss in an average home, because they are the largest portion of the exterior. Start saving money on your utility bills with exterior insulation, before replacing windows, doors, etc.